Athens in the autumn transforms into a city with a special kind of charm, so if you find yourself in the city on the cusp of autumn instead of the height of summer, here are some the delights you can look forward to. When returning from summertime holiday breaks, Athenians tend to continue spending a great deal of time outdoors, for as long as the autumn weather permits, roaming about town and enjoying drinks at café-bars on pedestrianized streets, rooftop settings and terraces. Begin your outing along cobbled Dionysiou Areopagitou St, below the Acropolis, for a look at the marvelous neoclassical buildings along one of Europe’s most prestigious and expensive strips. 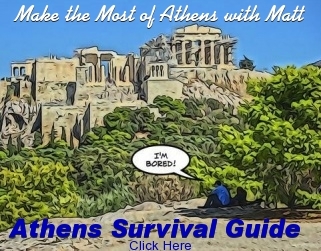 Also take in the Theater of Dionysus and the Odeon of Herodes Atticus, both at the foot of the Acropolis, as well as the district’s wondrous Acropolis Museum, designed by architect Bernard Tschumi and Michael Photiadis, before winding up at the Pnyx, the nearby hill where ancient Athenians gathered for their popular assemblies. Try the street food at Uberness, a cult-status pop-up restaurant set up by chef Vassilis Kallidis in Athens central wholesale fruit and vegetable market in Renti, close to Piraeus. The makeshift setting, featuring lots of plastic white chairs for seating, resembles rural Greek festivals. At Aster, enjoy Cretan cuisine in the grand setting of a neoclassical building decorated with furniture that is reminiscent of old Athens.